I novembernumret av Campaign Asia-Pacific fanns en mycket viktig och intressant artikel om kund-byrå-relationen. Under titeln A Promiscuous Relationship (PDF) belyser den reklambranschens sätt att arbeta, vilket också Micco belyst bl.a. i inlägget Reklam, nej tack!, och innehåller en handfull intervjuer med tungviktare i branschen. På flera marknader här i Asien finns en tydlig trend mot extremt kortsiktiga, transaktionsbaserade relationer mellan reklambyrå och uppdragsgivare. Det pitchas hejdlöst, utan egentlig eftertanke på vilka konsekvenser det här arbetssättet har för uppdragsgivarens varumärke och affär. Genomsnittsrelationen är t.ex. endast 3,6 år i Indien och 2,5 år i Kina, att jämföras med 6,8 år i Europa och USA. Efter att ha fört en dialog med redaktionen för Campaign ombads jag att författa en kommentar till artikeln. Den bad jag DDB’s regionledning att läsa innan publicering. DDB uttryckte önskemålet att mitt svar inte skulle publiceras i tidningen, och framför allt ville de att ett helt stycke skulle strykas. Därmed försvann dessvärre spänningen i min kommentar. Det jag skrev, i korta ordalag, var att reklambranschens extrema fokusering på belöning av den egna produkten kan vara kontraproduktiv för uppdragsgivarens affär, samt att byråer och deras anställda frestas att se uppdragsgivaren främst som ett verktyg för sin egen publicitet. Men efter att ha fört en längre disskussion med Micco upplever vi att mitt resterande resonemang trots allt kan vara av intresse. Därför väljer vi att publicera svaret här, med förtydligandet att inlägget är mina personliga åsikter och speglar på intet sätt DDB’s officiella hållning. It benefits neither the client nor the agency to have a short-term transactional view on the relationship. I neither agree nor understand that a changing environment and increasing pressures for speed, efficiency and effectiveness should mean that relationships should be more short-term and transactional in nature. And the notion that one can validate a “long-term marriage with a one-night stand” is absurd. The main reason, both for the client and the agency, to aim for long-term relationships is the classic experience curve. The longer you work with something, the better you get at doing it. It accumulates over time. And it flows in both ways. 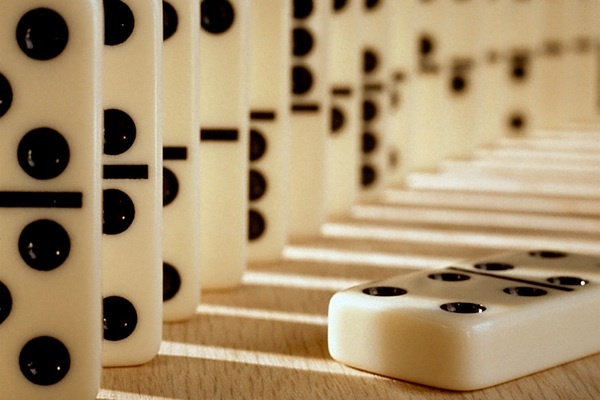 The natural consequence is added speed, efficiency and effectiveness. Speed and efficiency come from how client and agency work together (operations and process) and effectiveness from the agencies degree of understanding of the clients’ ongoing business situation and hence their capability in advising the best solutions, which drives market results. One good example actually comes from my native Sweden, between McDonald’s and DDB, which renegotiates the contract on an annual basis. 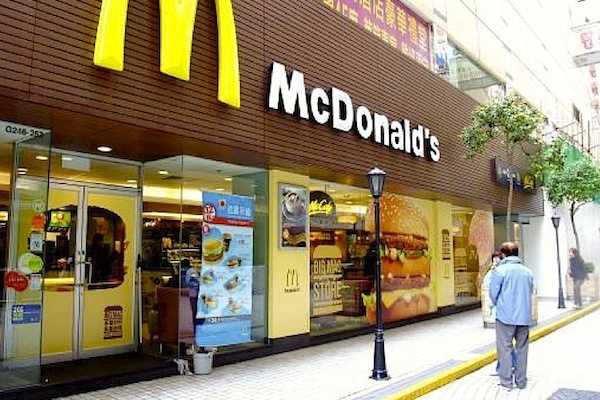 McDonald’s involved DDB in the most critical business issues and invited the agency to work closely with them from day one. Thus, the learning curve dramatically improved over time. The result? 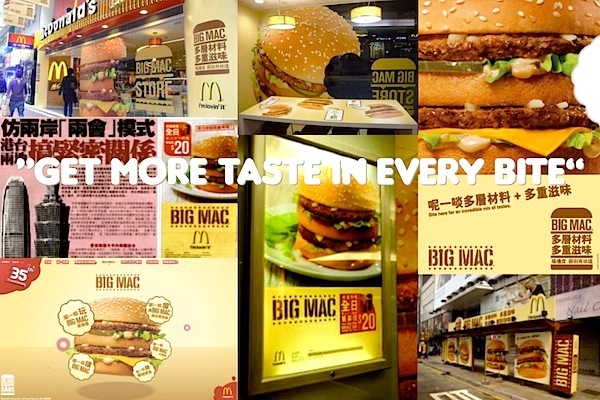 McDonald’s have been able to push for lower fees while DDB have been able to spend fewer hours for doing the same work. Simultaneously, DDB transformed McDonald’s into the most creatively awarded client in Sweden at the time and, above all, achieving record sales. This is value-for-money. Of course DDB was not solely responsible for the record sales but it shows that in-depth involvement benefits both parties from multiple perspectives. Their relationship is now entering the 7th consecutive year on the Swedish market. The above implies that ideally the client should open up and invite the agency to share the most sensitive business data. I’m aware that this is not the standard practice. But it should be. The more the agency understands about the critical business drivers – and has direct access to data – the better it is in creating effective advertising, which is the only way an agency can actively drive the business together with a client. Unfortunately, this leads me to a point that might explain why too many advertising agencies are perceived to be disposable. They are simply not seen as strategically (i.e. long-term) important to many clients. Firstly: One could argue that advertising agencies ironically need to be significantly more interested in driving the clients business regardless if this happens with advertising or not. This view might be controversial. But if advertising agencies are to deserve the long-term relationship with a client, they have to care about, be forever curious and understand the clients’ business situation better than the clients do themselves. There is a tendency to assume that the task of the advertising agency is to develop communication solutions – irrespective what the problem is behind the business problem. This is flawed and dangerous for the advertising industry. Secondly: The problem might be that too many agencies are not fundamentally interested in solving the client’s problems unless this will happen with (creative) communication per se. Or to put it differently; maybe it is more important to sell the advertising product – regardless if it is relevant for the situation or not. Let’s for the sake of the argument assume that the actual problem behind the problem should be tackled in the short-term with a change in the call-center operations, the product line-up or with an improved distribution strategy, and not with communications. The advertising agency that identifies this as the real problem, and advices against a classic communication solution, will probably be seen as a genuine long-term strategic partner to the client – simply because the agency proves it understands the nature of the clients’ business. How many agencies are able and are willing to do that? Thirdly: I am a passionate advocate in the belief that creativity is the most powerful force in business (e.g. IPA recently published a report that merged the Gunn Report with the IPA Effectiveness Awards and that overwhelmingly vindicates this belief). 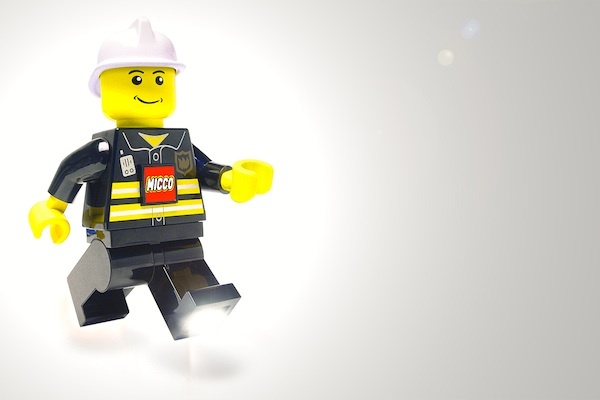 Any agency needs to be able to deliver at the basic request of creative ideas. 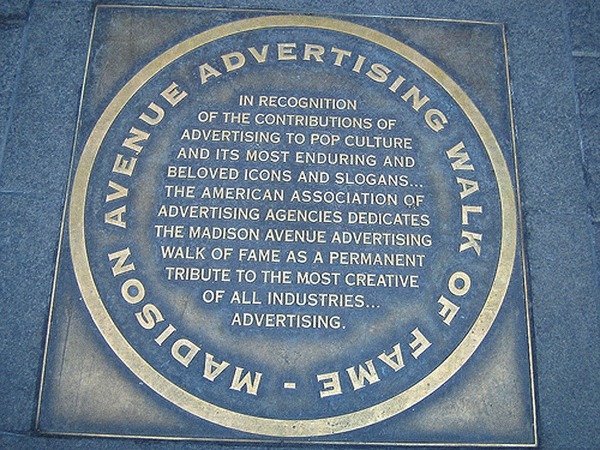 But many agencies can deliver creative ideas in the field of advertising. So, ironically, creativity in advertising will not be differentiating for agencies. Differentiation follows, and the long-term relationship as a result, when an agency elevate the core competence of solving business problems (which it should fully understand better than the client) through creativity – in a way that sometimes even goes beyond advertising. Finally, unfortunately the times have gone when the advertising agency was the natural strategic lead consultant for demand generation. Advertising is no longer always the natural answer on how demand is created and sustained in our complex world (but creativity always is). Hence, the structure from which the long-term relationship between the client and the agency is based upon will evolve accordingly. If it does, the relationship will strengthen over time, which puts both parties at the winning end of the table. Johan Östlund är Planning Director på DDB i Tokyo. 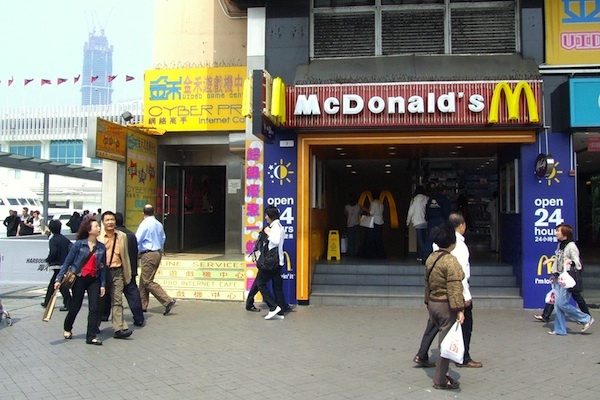 Dessförinnan var han Regional Planning Director för McDonald’s på DDB i Hong Kong. Han har också hunnit med att arbeta på DDB i London och Stockholm, samt på SEB Kort och Nordic Brand Academy. Johan har en både bred och djup erfarenhet av konsumentvarumärken, och ser kombinationen av å ena sidan sin analysförmåga och å andra sidan sin kreativa syn på affärsutveckling som sin starkaste professionella tillgång. Mäter vi reklamens effekter på ett effektivt sätt? This journey I’m on is a deeply personal one. When I put words to this thing called the Why, it completely changed the direction of my life. Not a single thing I’m doing these days – not the speaking, not the book, not even this column – was a part of any plan. How could they be on a plan? I couldn’t even imagine them. I know there’s a difference between being successful and feeling successful. And if you ask me if I feel successful, the honest answer is “not yet”. By most standard measurements, I am enjoying more success now than at any other time in my life, but I still don’t feel successful. This is what makes the question so fantastic. If the goal is to feel successful, what is the measurement we should use to achieve that feeling? The most common standard measurement is money – our bank accounts. That’s how so many people measure their success today, so perhaps it works? I went to an event for high-performing entrepreneurs and the question was asked of the room, “How many of you have achieved your financial goals?”. Amazingly, 80% of the room raised their hand. Then the question was asked, “How many of you feel successful?” and 80% of the hands went down. This example alone shows that there is little to no connection between the standard measurement of success and the feeling of success. I for one have never been motivated by the money. Most years, if you were to ask me how much I make, the genuine answer is that I have no clue. I usually find out the answer to that question once a year, at tax time, when my accountant tells me. And if money were the only measurement, we’d all have a number in our minds that, if we reached it, we’d stop working. And most of us don’t. No matter how much I make, I don’t want to stop working. Money doesn’t help me answer that question. Some would argue that you’re as successful as the company you keep. Certainly there is a connection between our friends and who we are. James Fowler talked about it a couple of years ago in a piece called “Do Your Friends Make You Fat?”. But can we really measure our success based simply on the company we keep? For example, are Vincent Chase’s buddies in the HBO series Entourage successful because they hang out with someone rich and famous? Most of us would say no. Sometimes the opposite happens. Sometimes spending time with someone who is perceived as “successful” can make us feel less successful. The irony is that regardless of how successful we think someone is, we don’t actually know if they feel successful. Over the past year, I’ve had the opportunity to spend time with people I never imagined even meeting. At two events this week, for example, I shared the stage with The Tipping Point author, Malcolm Gladwell, and David Bach, author of The Automatic Millionaire, respectively. It was so exciting to spend time with them and it was fantastic to get to soak up some of their genius. I cannot dispute that having the opportunity to work with them certainly is an indicator that things are moving in the right direction, but it didn’t make me feel successful. For me, the best thing about spending time with people I admire is the opportunity to ask them questions and learn from them. Though spending time with them doesn’t make me feel successful, their ideas and their thinking absolutely contribute to making my own work better, which, of course, helps me advance. But it doesn’t yet answer the question. My friend Georgia Hurd is not famous. She’s not rich. And she’s not yet attained the success she desires. She moved to Los Angeles to become an actress and has been working really hard to achieve her dream. She has been through some hard times. Money has been tight. Her work schedule often hurts her social life. But she perseveres. Her work ethic and her drive are amazing. She is so focused on where she wants to go. It is inspiring. After a couple of years of pushing and lots of wondering if it would ever happen, she’s starting to get some momentum. This week alone, she was called in to do a modeling job for American Apparel, she had some fantastic auditions and people are starting to take notice of her. What Georgia has found is momentum. It is that momentum that makes her feel good. It is the momentum that makes her feel successful. This is my measurement: Momentum. That’s what I want to track and measure. Money and the people I meet are stepping stones, indicators that momentum is building – but it is the momentum that makes me feel good. Studies show that over 90% of Americans don’t feel fulfilled by their work. Think about that. The vast majority of Americans go home at the end of the day without the feeling of success. I imagine a world in which that statistic is reversed. That most people go to work every day to a job they love and go home at the end of the day feeling fulfilled. That’s the world I’m working to build. My contribution is to share a message that can help make that dream a reality. But only when others join me in this cause; to help spread the message; to build the companies that people love to work for; and to choose jobs based on how the job makes them feel, not simply how much it pays, will this dream become a reality. I know momentum is building. That, more than any other measurement, makes me feel successful. The answer: When I reach a level of momentum when the movement can advance without me – then I will feel successful. Simon Sinek undervisar företagsledare i konsten att inspirera människor. Han konsulterar, skriver och håller tal runt om i världen om kraften i ett tydligt Varför – om syftet, meningen, tron på något som en stark drivkraft hos oss alla. Simons lika enkla som geniala idé, The Golden Circle, är baserad på biologin bakom människans beslutsprocess. Simon bor i New York, där han undervisar i strategisk kommunikation på Columbia University. Hans första bok, Start With Why: How Great Leaders Inspire Everyone to Take Action, kom ut i oktober 2009. This post is also published on Re:Focus. I talked about brand drivers and statements of relevant differentiation in school last week. And yes there are a lot of good, smart, creative brands out there taking a relevant and different approach, finding themselves a proper position on the market. But what is the leap to become a great super brand, something more than just a shelf share competitor? Instead of just thinking about how our brands can differentiate on the basis of product or service attribute, we must think about how our brands can differentiate within culture. Traditionally, marketers place brands in different categories and divide them into segments. But this limits the product’s meaning as whole, because great brands are never only in the product category. I think they also contribute to culture at large. Great brands have strong beliefs. Great brands don’t have to give any reasons for why consumers actually should buy them. Great brands can exclude any product benefits from their adverts. In fact, at the risk of sounding nonchalant, I would say that your products oftentimes actually don’t need any technical innovations or even benefits at all. There are no rational reasons (beside the free SMS/text service) or extra benefits that motivates youths to choose the Swedish mobile operator Halebop. Interesting reactions nonetheless. Apple may not have the best of all smart-phones, the most technical nor the most innovative phones. Yet, the iPhone’s 4% market share volume-wise ends up to 50% of the total industry profit. Talk about a high margin product! And well-executed branding. The list continues: Domino’s pizza is probably far from being the best pizza you can get and ABSOLUT is definitely not the very best vodka. Well, I think you get the picture: A great brand makes it easier to sell your product with higher margins without actually having the best product within its category. In short, it’s all about creating demand through understanding your consumers’ lifestyles and the context of the brand’s sociological role. And when you have a brand that people want to interact with, that people want to buy because the brand tells a story about them, then you are getting closer to creating a great super brand. The Problem: I have not been in the business for long, but I have already come across brand managers rigorously protecting their brands instead of creating what could be part of something more than just another product category. But it shouldn’t be the brand managers who act as brand advocates – it should be the consumers. The Solution: Extending the brand’s philosophical attributes instead of the physical ones. What is it then with culture as a brand driver versus benefits on a product level? Here are some brands that, instead of dramatizing product features, focus on culture as well as on a more philosophical differentiation. Think: Which culture – or perhaps movement – could be relevant for your brand, instead of which category to expand into. Invest: Put your money in brand (relationship) building advertising instead of product promotion. Make: Always strive to make advertising based on the preferences of the consumer and her lifestyle, not your client’s. And finally, challenge the status quo – all that seems to be “normal”. The most disliked and sometimes hated stars are at the same time quite often the most loved by their supporters. Why wouldn’t the same apply to company and product brands? Think for instance about why Diego Maradona actually is that adored? He is also one of the most disliked football players ever. He as a brand stands for something beyond football itself, on very controversial standpoints sometimes, and for both good and bad, but this gives you a hint of what I’m aiming at. If your brand has a philosophical vision beyond the product, and if it strives to claim a place in the culture instead of only on the shelves, then people who like it are going to do that even more and in a deeper sense than if your brand is the average “trying-to-be-liked-by-everyone brand”. People will talk about your brand, and instead of the conventional thinking of product and categories it will become an active part of the culture. After all, that is the best statement of relevant differentiation your brand can ever get. Here’s a recipe that will help you start. And here’s another. Richard Seger Johansson studerar Brand Management vid School of Communication IED i Milano. Han har en examen i marknadsföring och har även studerat sociologi vid Stockholms universitet. Richard har ett stort intresse för det mesta, men framförallt för samhällen och kulturer kopplat till konsumtion, köpbeteenden, varumärken, marknadsföring och reklam. Så snart han är klar med allt vad han har för sig för tillfället, hoppas han ta steget in i en roll som junior account planner på byrå. 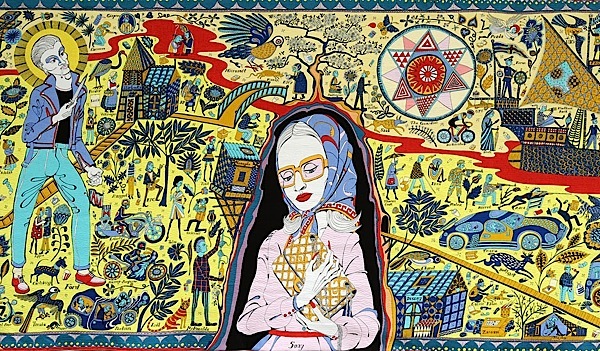 The picture at the top is Grayson Perry’s The Walthamstow Tapestry. The textile can be read left to right, starting with a bloody scene of childbirth then continuing with depictions of the seven ages of man, through childhood, adulthood and eventually to death. Around these large human figures teem hundreds of smaller images and words. The words are brand names, detached from their products but leaving behind them, Grayson Perry says, the aroma of the particular values they convey. I have a test for you. Do you know what you believe? I’m being serious. No matter if you’re a company, a non-profit, an executive, a politician, a CEO or just an average Joe – do you know what you believe? And I don’t mean a list of things. I mean the one, overriding belief that guides all the decisions you make. If you’re a leader of some sort and the answer is no, then how do you know who to hire? How do you know what message to put out to employees to inspire loyalty? What message to tell your customers to inspire them to buy from you? How do you know when you’re being authentic or not? If you’re not a leader, how do you know what job to take? How do you decide what leader you should follow, to give your undying loyalty? How do you know which companies truly have your best interests in mind? It’s pretty important to know, no? 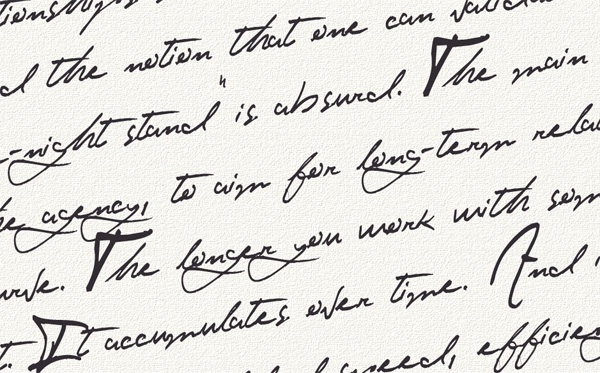 You must only write one sentence. You may not mention what you do or any product or service you sell. If you can write one sentence that feels right, then you’re well on your way to knowing your Why. If you’re up for the challenge, and you’d like to email your results, send them to Ibelieve@sinekpartners.com and I’ll get back to you to help in any way I can. I believe that no matter how smart you are or how good your ideas are, the only way to thrive in the world is if you have the ability to inspire those around you. 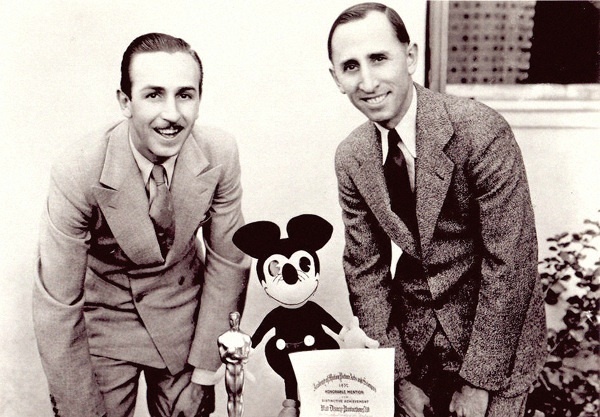 Walt Disney was the visionary, the man who took the risk, but his brother, Roy Disney, brought the dream to life. Martin Luther King was the man with the dream, but it was Ralph Abernathy, a man whose name has been long forgotten, who stood up after Dr. King and told people what to do. Bill Gates was the Why guy who imagined a PC on every desk. Bill Gates imagined a world in which we would all be able to achieve our true potential. But it was Paul Allen, lurking in the shadows, who knew How to make it happen. No matter how clear the vision, no matter how high the risk tolerance, a leader is nothing without the first person to stand up and join. For a movement to grow, for an idea to spread and for a company to become something special – it takes two. The dancer is Why. The first follower is How. When those two unite – watch What happens. The fans watching the game in a local sports bar in New York went wild. They cheered and celebrated. They couldn’t believe their team had done it. This was possibly one of the great upsets in sports. An ocean away, fans watching in a pub in London were devastated. How could this have happened? Their team should have won. And so it was. The final score recorded into history to mark this occasion. 1:1. That’s right, the final score was 1:1 – the US soccer team had tied the British team in the first round of 2010 World Cup. The Americans celebrated the win. The Brits mourned the loss. But the last time I checked, 1:1 was a tie. There was no winner and there was no loser. The final score, as it turns out, does not exist in a vacuum. A score may be an objective measurement of achievement, but its value is a relative measurement to our expectations. An ”A” student who gets a B, for example, feels disappointment. A ”C” student who gets a B feels ecstatic. Their objective achievement is the same, but their feelings toward their grade, the value of their grade to them, is relative to the expectations others had for them. This is what happened in the World Cup game. The British were the A students and the Americans were the C students. And in this case – the Americans were able to match the might of the British. It was, in relative terms, a win. The definition of ”winning”, then, includes a subjective element – when what we actually achieve surpasses the expectations others think we could achieve. The American team believed they could match the British, even if everyone else thought they couldn’t. Had the American team bought into the expectations others had for them, then their loss would have been inevitable because they would have played believing they had to lose. Expectations are different from hopes or desires. Expectations are a calculation. They come from the evaluation of data – the British team was much better. They had won more games. Their players were objectively better, and so on. Even if American fans hoped their team would win, based on the data, they didn’t think they could win. This is what makes the underdog so appealing. What the underdog believes they can do goes beyond what others think they can do. Though we root for the underdog, we still expect them to lose. It’s rational. 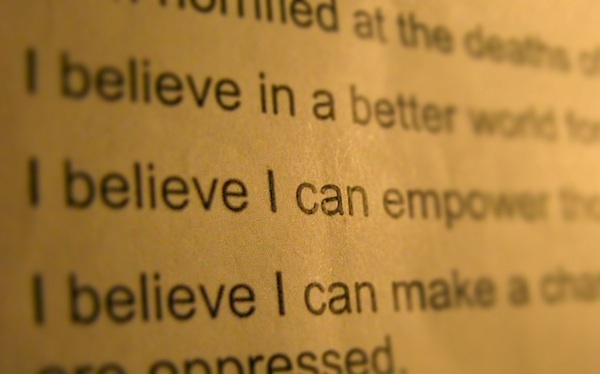 This is why belief in oneself, confidence, is so important. The innovator believes something can be done when others think it can’t. The entrepreneur believes a solution exists for a problem others think unsolvable (if they even recognize the problem in the first place). And this is why optimists are the most important people of all. They believe every one of us can achieve more than we think we can. They push us and they inspire us. They are able to convert our rational assessment of our abilities (thinking) into drive and passion (belief). The American coach inspired his team to believe they could do something others thought they couldn’t. All great leaders do. They fundamentally believe in people and what they can do. As for the lesson: If you’re doing things that everyone around you thinks you can achieve, and all the evidence would support their thoughts, then you’re not pushing yourself hard enough. That doesn’t mean working towards some ridiculous goal that even you don’t believe is possible. Rational achievement happens based on the score. The feeling of achievement, however, comes when you work to the limit of your own beliefs, and if that limit goes beyond what others think you can do you will feel like you won. Even if you only achieve partial success. Even if you only tie the game, those who didn’t think you could do it will start to believe in you, too. And when people believe in you, they will rally for you, support you, send resources your way, introduce you to people and help pave the way for you to succeed. And that’s when objective success is easier to achieve. Though the facts may remain the same, they will support you for no other reason than they now believe in you and think you can do it, too. It all started in 1885. Grover Cleveland was president of the United States when George Eastman introduced roll film, the invention that paved the way for the development of the motion picture. The film business was such a good business, in fact, that Eastman’s company, Kodak, went on to form an entirely new company whose sole purpose was to manufacture the chemicals needed to develop their film. 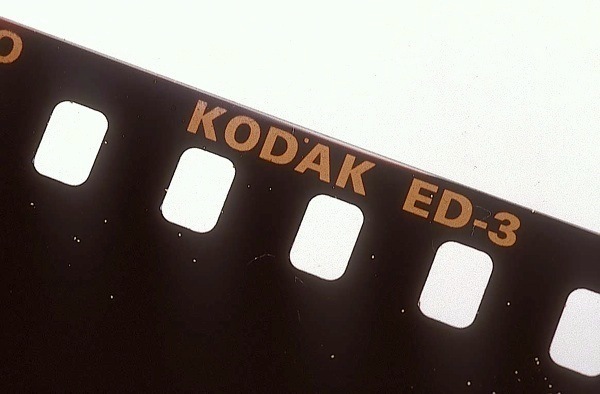 In 1936, Kodak introduced 35mm film and life was good. But then, in 1975, Kodak did something horrible: they invented the digital camera. You heard me right, Kodak invented the digital camera in the 1970s. This was not good. Fearing their new invention would eat away at film and chemical sales, Kodak worked to suppress the new technology. Kodak made the biggest mistake possible. As Zig Ziegler said: ”People don’t buy drills, they buy holes”. And Kodak ignored the hole to protect the drill. Instead of building a business around why people use film, they set out to protect the film itself. No company can suppress an advancement in technology, and certainly not for such a selfish reason as to preserve the status quo to maintain sales of one piece of intellectual property. And in 1999 it all started to unravel. Just as digital photography was starting to gain momentum, Kodak’s stock traded at about $80. It has been a steady decline since and now their stock rarely goes beyond between $4 – $5 a share. The massive loss of money notwithstanding, Kodak has been forced to lay off thousands of workers to stay in business. All because they focused on what they were selling at the expense of why people were buying it. Imagine if Kodak embraced the reason the film existed and let go of the film. They would be THE pioneer in digital photography. To paraphrase Seth Godin, the goal is not to find customers for your products, it’s to make products for your customers. Sadly, other industries were too busy protecting their drills while ignoring the holes to notice what happened to Kodak. The music industry was too busy trying to protect DVDs and an album culture as the world around them moved to an mp3 and song culture. They tried to suppress the spread of mp3s by running around suing 13 year olds. Even my own publisher, Penguin Books, which is now living in a digital book world, refused to let me give away my book on Kindle for free for a week for fear that it would, and I quote, ”eat away at hard cover sales”. People don’t want a paper-bound book, they want the ideas contained within that book. Companies obsessed with protecting their intellectual property forget that people are actually buying the application of their intellectual property – why the product exists. The ones that understand this are the ones that find new and different ways to help people get that application they want regardless the form the intellectual property takes. Call it open source, if you want, the companies who embrace the philosophy are the leaders and the innovators. Kodak, publishing and the music industry – they are the dinosaurs.